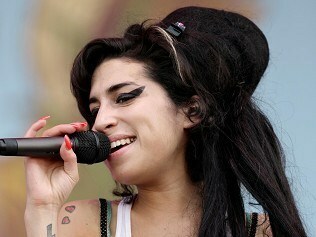 Amy Winehouse has shot to the top of the album charts, more than four months after her death. Her posthumous collection Lioness: Hidden Treasures, which features original tracks and covers, was released yesterday. Amy's father Mitch tweeted: "Just been told. Amy at Number One... My heart is sad but bursting with pride. Mitch." Some of the proceeds from the album, put together after the 27-year-old singer was found dead in bed in her Camden flat, will go to the Amy Winehouse Foundation, set up in the star's name. Mitch tweeted: "140,000 sold = £140,000 to foundation in one day. Well done baby." Producers Salaam Remi and Mark Ronson pulled the 12 songs together after listening to thousands of hours of vocals by the singer, many of them from sessions for her hit albums Frank and Back To Black. Mr Winehouse recently spoke of the painful process of listening to the album for the first time, saying "it was a very difficult time for us". An inquest found the star was more than five times the legal drink-drive limit when she was found dead in her north London home on July 23. Olly Murs, the 2009 X Factor finalist, topped the album chart last weekend with In Case You Didn't Know. Winehouse's label Island Records confirmed that her album had gone "straight to Number One on the midweek chart". Underworld - best known for their anthemic dance hit Born Slippy - have been chosen to mastermind the music for next year's Olympics opening ceremony. Cliff Richard has said he wouldn't make a great X Factor judge - because he "could never be the baddy". Radiohead frontman Thom Yorke has become the latest big name to lend his support to protesters who have been camping outside St Paul's Cathedral. Guns N' Roses have been inducted into the Rock And Roll Hall Of Fame in the US. "I have more cousins than this," quipped Chris Martin as Coldplay returned to the scene of one of their earliest gigs to play for just 400 people. Radiohead and Massive Attack became the latest big names to lend their support to protesters who have been camping outside St Paul's. HMV has been forced to apologise after a "regrettable technical issue" on its website led to rumours of an X Factor fix ahead of this weekend's final. Olly Murs has confessed he's not sure if he wants to front The Xtra Factor again next year.